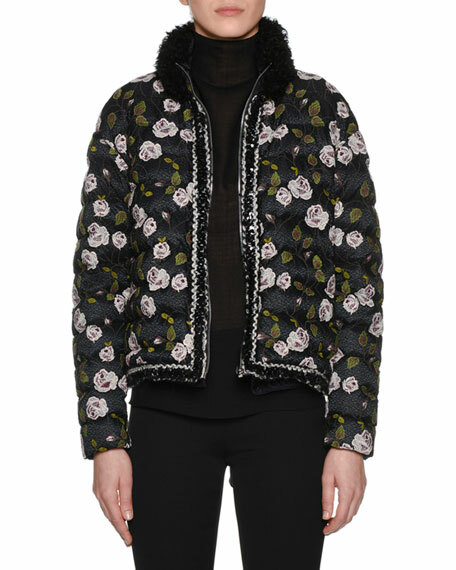 Giambattista Valli multi-floral print puffer coat. Dyed lamb fur (Italy) stand collar; zip front. 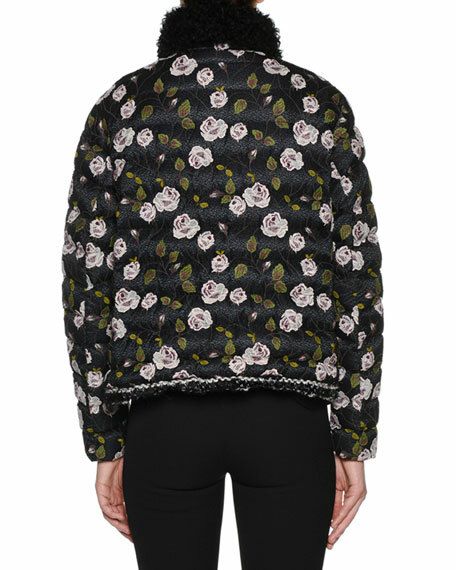 Zip front with embellished trim.